Apraxia can interfere with communication. Apraxia and autism are two distinct conditions that share some similarities. In some cases, individuals are diagnosed with a pervasive developmental disorder as well as apraxia. 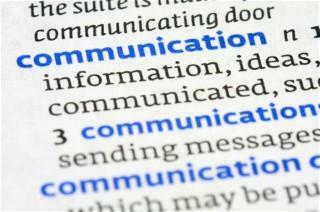 Both conditions significantly interfere with an affected individual's ability to communicate. Motor involves movements in the hands or the entire body. Verbal involves the muscle movements necessary for speech. Oral involves movements not associated with speech and articulation such as puckering the lips or sticking out the tongue. Developmental apraxia is present at birth and it seems to affect fewer girls than boys. Typically, the child has delayed speech problems followed by normal speech over time. Some may refer to the condition as verbal dyspraxia.Acquired apraxia appears later in life, mostly in adults, but it can occur in people of any age. There seem to be direct causes for the acquired form of the condition. Aphasia is speech problems occurring as a result of nervous system damage. Dysarthria is speech problems occurring as a result of weak muscles. The symptoms of apraxia are somewhat similar to some of the signs of autism. A family history of learning problems and speech and language problems are often apparent. People who have apraxia have difficulty putting syllables and sounds together to form words. Sometimes the individual is able to articulate a word or sound correctly one moment but is unable to do so the next. The symptoms of the motor condition vary in severity, with the most severe cases requiring augmentative methods of communication. Apraxia and autism can occur in the same person, making the conditions very challenging. When a person has an autism spectrum disorder, she experiences marked impairments in social interaction as well as problems with processing sensory input. Aspergers syndrome and some cases of PDD NOS do not experience delays in language development. Apraxia interferes with the planning necessary for voluntary movements. There may be an interference between the brain's plan to carry out a physical task and the messages sent to the muscles in the body that are supposed to carry out the task. The interference can affect gross and fine motor skills as well as speech patterns. The differences between autism spectrum disorders and apraxia are the absence of a need for order and routine as well as lack of social impairment in individuals who are diagnosed with apraxia. However, the condition can interfere with the person's ability to interact with others due to the difficulties in motor functioning and speech. Proper screening is necessary to determine whether more testing is necessary to find out if an individual has a co-morbid condition of apraxia and ASD. Screening is one of the first stages of assessment. The physician observes the child and parents answer questions about their child's development. Screenings do not result in a formal diagnosis; they merely determine whether further testing is necessary or not. The Center of Disease Control and Prevention offers information about screening tools as well as how to use developmental screening tools.